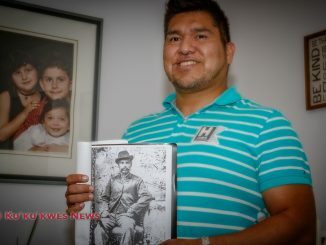 More Nova Scotians need to learn their shared treaty history with Mi’kmaw people, a public forum on treaty education was told on Monday. “There’s a need for this relationship to get better,” said Jaime Battiste, who heads the newly formed Treaty Education Nova Scotia. “We need to do more in terms of having more aboriginal curriculum and content within our current school system,” Battiste said. Leaders, educators and policy experts gathered in Halifax Monday to discuss ways to build a new partnership between Mi’kmaq and non-Mi’kmaq in Nova Scotia through improved education. The forum, called ‘A New Partnership – Building Relationship Through Education was jointly organized by Treaty Education Nova Scotia, Engage Nova Scotia and Canadians for New Partnership. 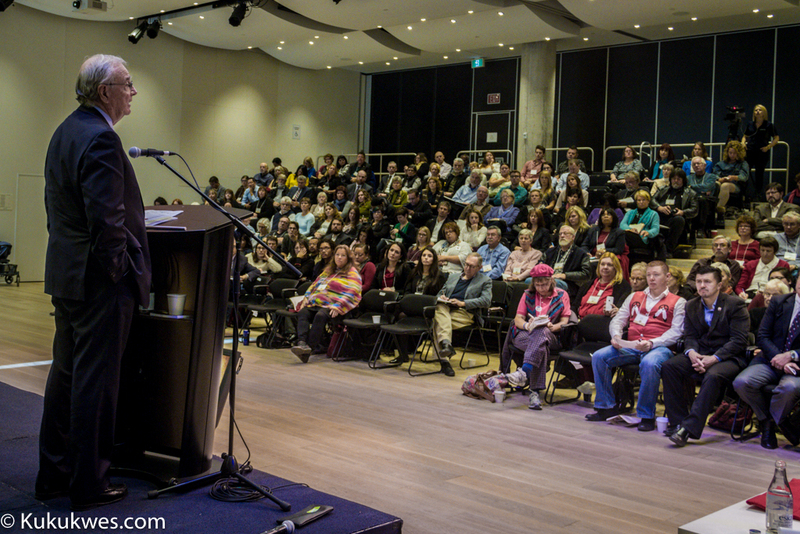 Nearly 200 people filled the Paul O’Regan Hall at Halifax Central Library to take part in the public discussion. More than half of the audience self-identified as non-aboriginal during a real-time survey portion of the forum. 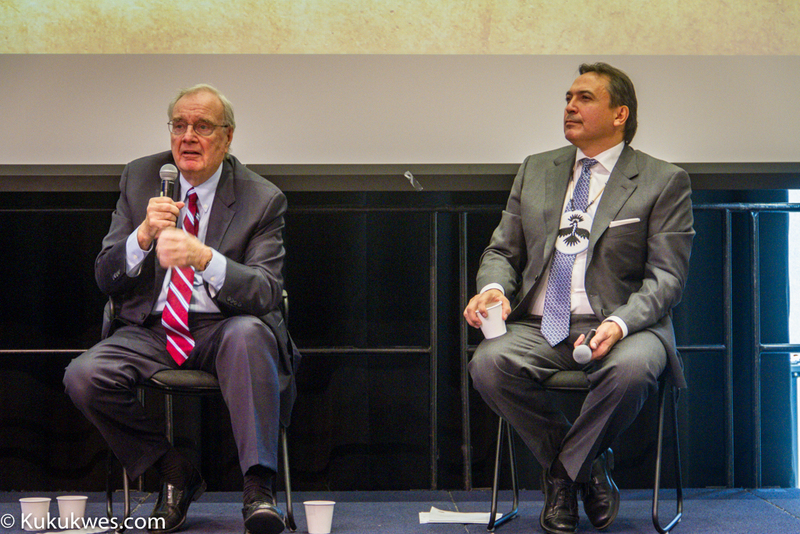 Former Prime Minister Paul Martin and Assembly of First Nations National Chief Perry Bellegarde were the keynote speakers at the forum. 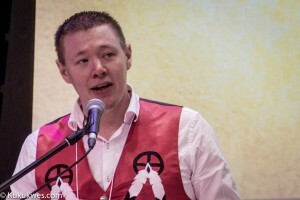 Martin stressed the need to improve education for indigenous children to bring it on equal footing with the same level of education for non-indigenous children in Canada. “Clearly, indigenous education is underfunded on-reserve and it’s going to require an enormous amount of more money to focus on bringing it up to where it ought to be,” Martin said to reporters Monday. “That will require a much stronger structure that is currently in place,” he said. Martin, who founded the Martin Aboriginal Education Initiative and Capital for Aboriginal Prosperity and Entrepreneurship, is hopeful the newly elected Liberal government responds to the call for increased education funding to respond to the changing economy. 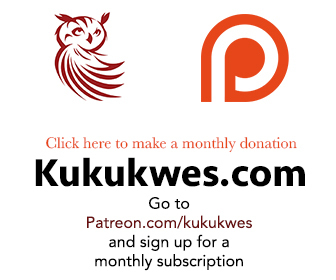 “If we do that, if we spend in the education of our young people, indigenous Canadians and non-indigenous Canadians, there’s no country in the world that will touch us,” Martin said. “But it begins by being fair to indigenous Canadians who have been deprived of decent education funding for far too long,” he added. Bellegarde told the audience that closing the gap in the quality of life between indigenous and non-indigenous Canadians is in the best interest of the country. 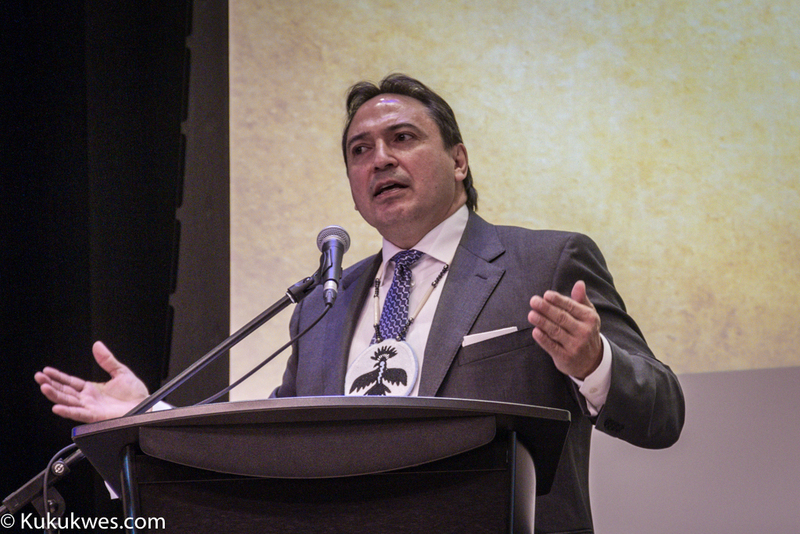 “Start making key investments in education and training and invest in the fastest growing segment in Canada’s population which is First Nations men and women,” Bellegarde said Monday. One way to close that gap, Bellegarde explained, is removing the two per cent cap on federal government funding to First Nations communities for education, housing, health care and economic development. “If you don’t make those investments now in eduction (and) start building schools, it’s like you open a door to a new school or you close a door on a jail,” Bellegarde said. As part of the public discussion, a real-time electronic poll was taken with the audience on issues about the Mi’kmaq, the peace and friendship treaties and the Truth and Reconciliation Commission. Approximately 70 per cent of participants indicated they were never taught about Mi’kmaq treaties in elementary school, high school nor at a post-secondary education institution. 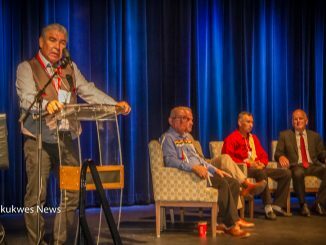 Thirty-nine per cent of the audience admitted they had a low understanding of Mi’kmaq culture and treaties while 28 per cent of them indicated their understanding was moderate. 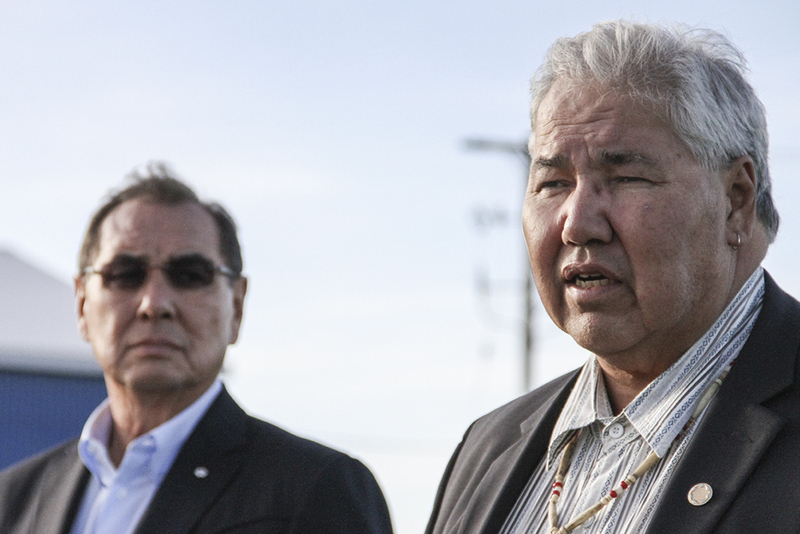 Thirty per cent of the audience stated they read all of the recommendations of the Truth and Reconciliation Commission report while 43 per cent stated they only read what was covered by news organizations. When asked what the most important next step in building a strong relationship between aboriginal and non-aboriginal Nova Scotians, 52 per cent of the audience chose increased dialogue and 27 per cent chose nation-to-nation relations. Forty-three per cent of the audience chose government leaders as being most responsible for creating awareness about aboriginal history and relations while 40 per cent chose schools as being the most responsible. That result shocked Battiste. “I think that our government officials have a lot on their plate. Their role is to have some understanding but I think it’s more teaching people, youth at a young age,” Battiste explained. Battiste said he is helping to organize more events as the lead for Treaty Education Nova Scotia. A banquet is being organized in Membertou on December 3 to celebrate the 30th anniversary of the James Simon Supreme Court of Canada ruling that recognized Mi’kmaw people’s right to hunt. A more academic forum on the Simon decision is being organized in December as well. Battiste said a date for that event hasn’t been set yet.